How Can We Help Enrich Your Dog’s Life? 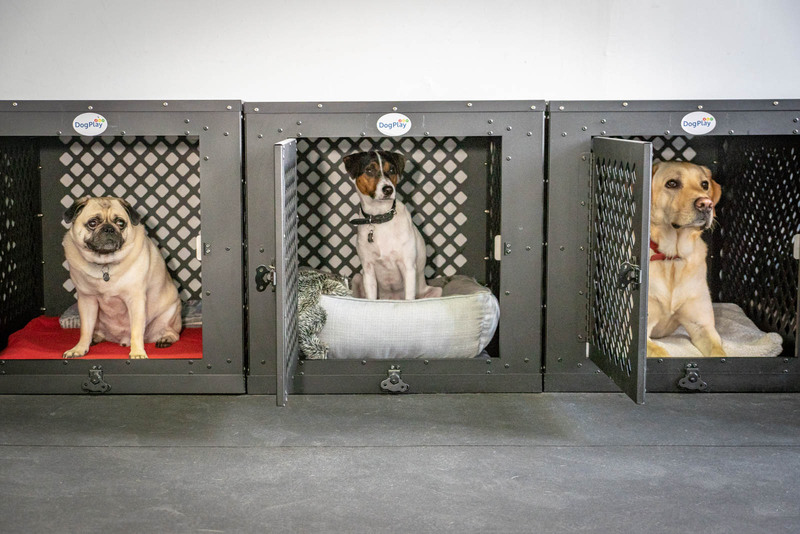 Designed to provide your dog with training, socialization, and exercise in a safe, clean, and structured environment. Helping your dog feel relaxed and at home during those times that you need to focus on other important things. 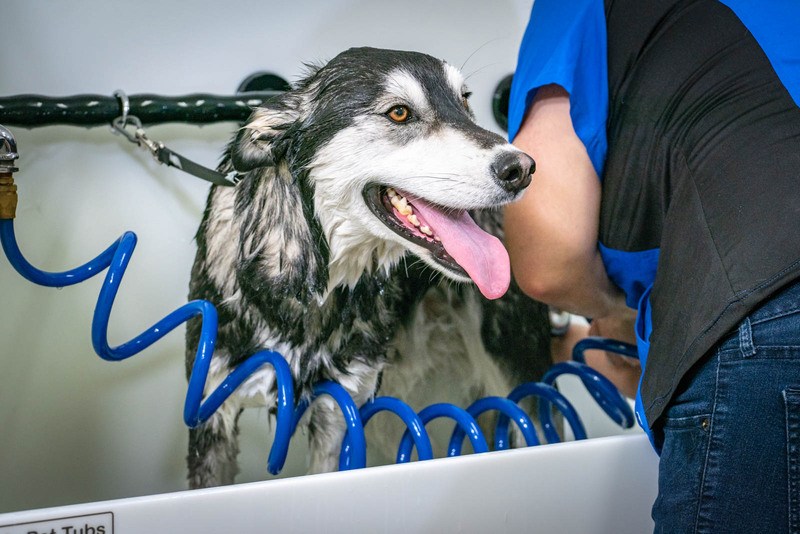 Using low-stress grooming techniques to ensure your dog goes home looking their best and feeling great too. Everything we do at DogPlay is built around using positive reinforcement to teach dogs what we want them to do and then rewarding them when they do it. “They were amazing with [Lucky] on his first visit months ago. We went on the wait list for daycare in hopes of helping with his socialization. Lucky has been going regularly for almost two months and loves it. 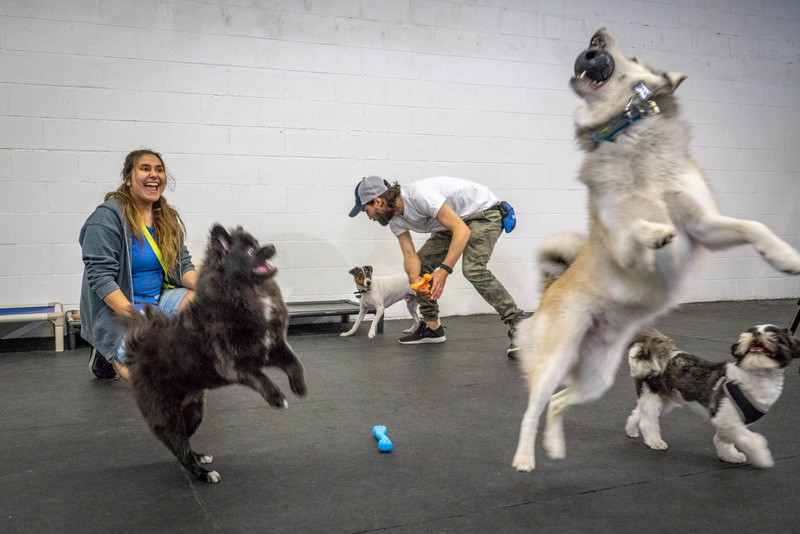 “In the short span of a couple of weeks [Pip] went from being very hesitant about daycare to now leading the way through the doors as soon as we arrive at DogPlay and seeing her wagging tail as she disappears for a day of fun is making us really happy. She has become so much more confident, and able to interact, play and relax with other dogs which is great. “Thank you! We brought our rescued Husky, Boomer, to DogPlay after two other unsuccessful attempts at other daycares. Boomer was bored at the other daycares so he was jumping from pen to pen. At DogPlay he received all the attention that he deserves and socialized well with the other dogs. We couldn’t be happier with the staff and the experience Boomer had. The first step is to register an account with DogPlay. From there you will be able to request and manage bookings, update your dog’s information, purchase packages, and much more!